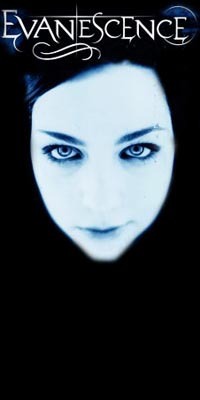 Welcome to one of the latest developed fan sites for Evanescence. This site is dedicated to supporting the existing fan base for Evanescence. My name is Gerrit. I've been a fan since the I saw Daredevil in the theatre and the soundtrack introduced me and my friends to the amazing music that is Evanescence. I created this fan site in April, 2003. Please e-mail me if you have lyrics or information I am missing. Thanks.